“A remarkable musician, authority and expert on a notoriously tricky instrument, Anneke never forgets that performing is about communicating enjoyment and having the courage of one’s convictions. Concerts with Anneke are always a musical adventure!” (Andrew Manze). 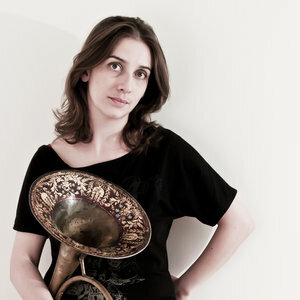 “In Anneke Scott we have a ”natural“ horn player in more ways than one. On an instrument which is perilous at the best of times her technique is such that one is aware only of intellect, musicianship and a glorious pallet of sound. It is a joy to work with her.” (Pavlo Beznosiuk). “I shall never forget the astonishing playing on natural horn by Anneke Scott in Haydn’s Concerto in D. She seemed to defy the laws of physics." (Martin Adams, The Irish Times).